Andaz is Hyatt’s new line of trendy boutique-inspired hotels that combine luxury and modernity. It is Hyatt’s answer to the W and the Kempinski. 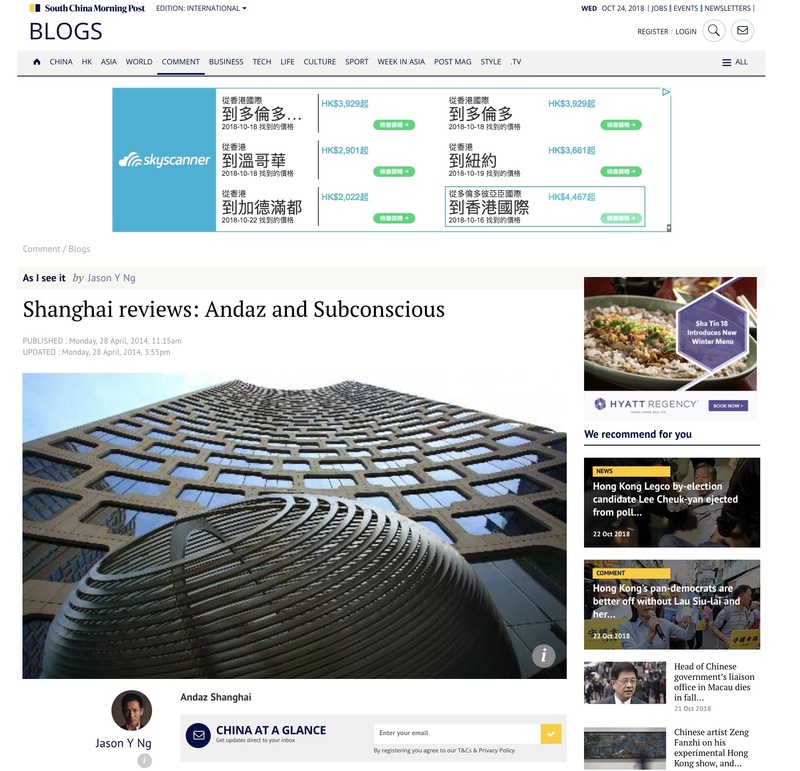 Opened in 2011, the Andaz Shanghai is the brand’s first foray in Asia, located in the upscale Xintiandi entertainment district and a stone’s throw from Huai Hai Zhong Road—the Fifth Avenue of Shanghai. 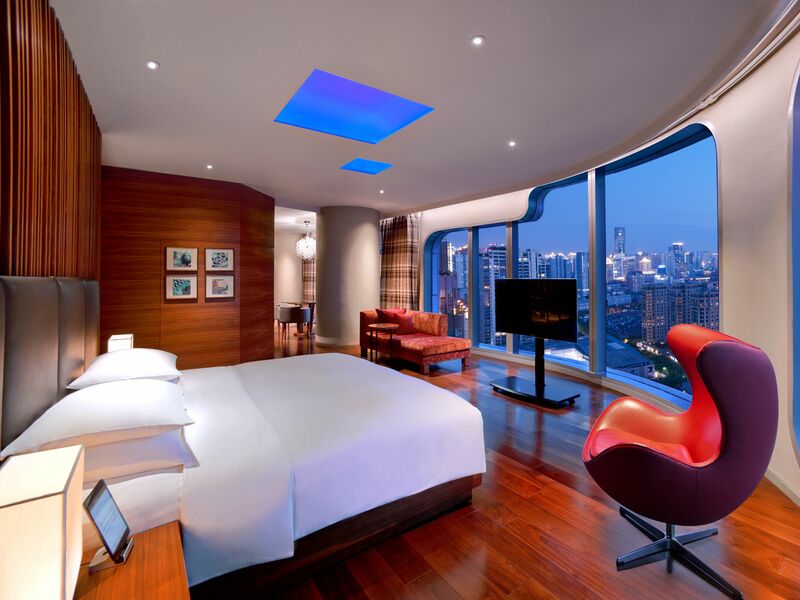 The 307-room hotel is connected via a footbridge to the more business-oriented but equally curvilinear Langham Xintiandi. Both hotels were designed by renowned architecture firm KPF and built by Shiu On Land (which is credited for redeveloping the Xintiandi area a decade ago). The Andaz Shanghai oozes with style, from the sleek check-in stations to the dramatic art installations and the LED-lit acrylic swimming pool. The 28-storey building towers over the low-rise architecture in the vicinity, giving every room a sweeping view of Shanghai old and new. Although their basic guest rooms are not the most spacious among the city’s new hotels, they are every bit as functional. There is a pre-programmed iPad in each room to control the television, lighting and curtains. In keeping with the new industry trend, the mini-bar is complimentary and well-stocked with snacks and soft drinks. The marbled bathroom features a state-of-the-art bidet, a rustic stone wall and a sink that changes colours at the flick of a switch. It is said that a new international hotel is built every four days in China. The rapid growth of the hospitality industry means that competition for well-trained staff is fierce and that the service—even at high-end hotels—can be uneven. But not so for the Andaz Shanghai. 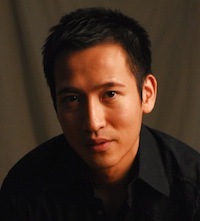 Their staff is courteous, fluent in English and will go out of their way to be helpful. During my visit, I left my wallet—along with my Hong Kong identity card and home return permit—in a local cab. Hotel staff Clair Zhou promptly took over the situation, jotting down my personal information (in English), contacting the taxi station (in Mandarin) and giving instructions to the driver (in Shanghainese). When I offered Clair a tip to show my gratitude, she vehemently refused, insisting that it was her job to help. I had to shove the bill into her hands before she finally accepted it. At roughly RMB1,500 a night (HK$2,000), the Andaz Shanghai is a mid-market alternative to traditional big names like the Peninsula and the Fairmont. Its prime location in the heart of the city’s nightlife scene and away from the touristy Bund area is a big plus. If you are looking for a place to stay in Shanghai that is hip, centrally located and superbly staffed, you know where to go. Postscript: In June 2013, Hyatt moved its Internet servers from Shanghai to Hong Kong, thereby allowing guests at its member hotels to have access to Facebook, Twitter and other foreign social media sites that are blocked by the Great Firewall of China.